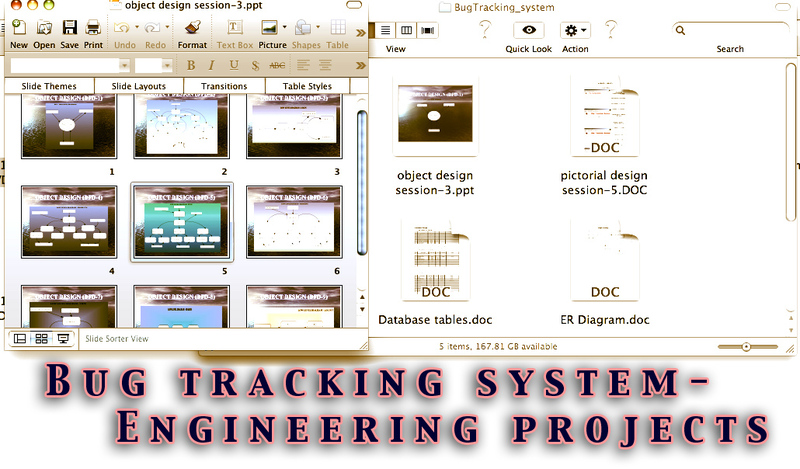 Java Project for IT & CSE: Bug tracking system ~ Engineering projects ideas for final year students & paper presentations collection blog. Departments: Computer science, Information technology, Software development. Can be used for: BE project, be it projects, paper presentations, Development of better coding ideas. This is an engineering project that can be used by the it and computer science students. This is a project package which is ready for the presentation. This can be downloaded and used directly for a short assignment. This project pack contains all the needed diagrams, documentation and presentation. All the details are collected from the source internet. 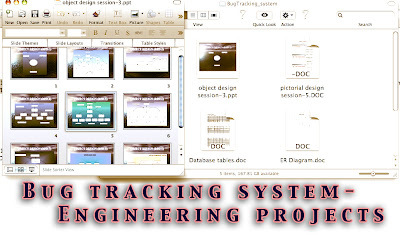 This project is about "BUG tracking system", this technique is used by the software development department to trace a bug the exist in the code. It is also used in the open source software, as an attachment to help the used to report any problem in the software to the development team at the remote. By all these ways the bug system technology is used for the betterment of the software team.